What does it mean to be a classic? Something that is considered the best of its kind. An example of excellence. Something that has been popular for a long time. Nearly 100 restaurants have received the award since the category was introduced in 1998. The James Beard Foundation Awards, named after the “dean of American cookery” has been likened as the food world’s version of the Oscars. And after nearly 30 years, the Dearborn institution is stepping into the national spotlight after being celebrated at the awards in May held in Chicago. Founded by Khalil Ammar and Zaki Hashem in 1989, Al Ameer began as a tiny eatery with about five booths at the corner of Warren Avenue and Miller Road. 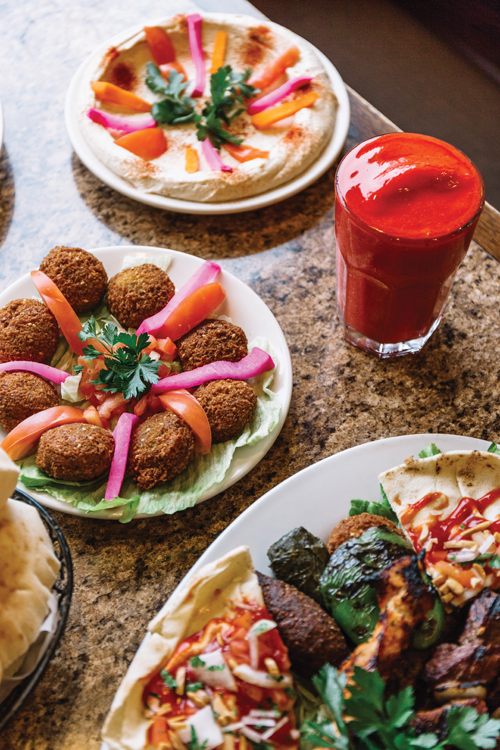 With its family-friendly atmosphere and on-point Lebanese food, the “mom” location, as manager Hassan Hashem affectionately calls it, grew into a destination and an institution. Intoxicating aromas of grilled meats welcome guests even before they walk into the spacious dining room done up in a warm palette with comfortable floral print booths and plenty of tables. Some days they need all those tables — during a recent afternoon, Hashem was waiting for a group of 100 for lunch. Consistency is the key to the restaurant’s success, Hashem says. “We’ve been open almost 30 years and from the day they opened, (there are) customers who’ve been coming here longer than I have been here. They tell me every single time they come in it tastes the same,” he says. The other key ingredient to its success is the freshness, with nearly everything except for french fries, chicken strips, and chicken wings made in house. For starters, the pita bread is the perfect vehicle for scooping up creamy, luxurious baba ghannouj, the Beirut hummus — a spicy spin on the traditional chickpea spread with a blend of chopped jalapeno, parsley, and tomato — or the not date-friendly but oh-so-good garlicky labneh. A good choice for sharing is the Al Ameer platter, which has a little bit of everything: two grape leaves, two fried kibbeh, chicken shawarma, tawook, kabob, kafta, and falafel served with hummus and salad (we asked for fattoush, a pretty plate of greens and toasted pita served with tangy pomegranate dressing). A standout on this Lebanese feast is the falafel with its crunchy, crisp fried exterior and well-seasoned interior. A perfect complement to the food is a refreshing glass from the juice bar. With cold-pressed juice costing more than a meal at some places, Al Ameer’s fresh juices are $3.50 and you can customize your drink — even if you bring in your own sugar. When it comes to one of the more unusual requests, Hashem recalls when a customer came in with a 2-foot sugar cane. L & D Mon.-Sun. 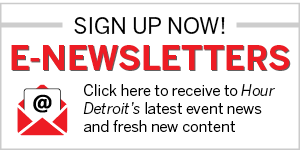 12710 W. Warren Ave., Dearborn; 313-582-8185. 27346 Ford Rd., Dearborn Heights; 313-565-9600. 2100 N. Haggerty Rd., Canton; 734-667-5316.